(SINGAPORE, 21 April 2016) – Sony has been recognised with a record five awards by the prestigious Technical Image Press Association in their 2016 awards. The Sony α68 has a 24.2MP APS-C Exmor CMOS sensor with an ISO 100-25,600 range. Its 4D FOCUS™ system uses a 79-point dedicated phase detection AF sensor with 15 cross points. It can deliver accurate focus in light as low as -2EV, plus constant AF tracking at 8 frames per second. For video fans, the Sony α68 can record Full HD in XAVC-S format with a bit rate up to 50 Mbps and continuous autofocus with accurate focus tracking. Other attractive features include SteadyShot™ Inside image stabilisation, an OLED Tru-Finder™ with 100% frame coverage and an articulating 2.7-inch LCD monitor. Full details of the α68 can be seen here. The Sony α7R II has a 42.4MP “Full-frame” Exmor R™ CMOS sensor housed inside a full magnesium alloy body. It features a hybrid AF system with 399 on-sensor phase detection points and 25 contrast detection points that allow still shooting at up to 5 fps at full AF and AE. 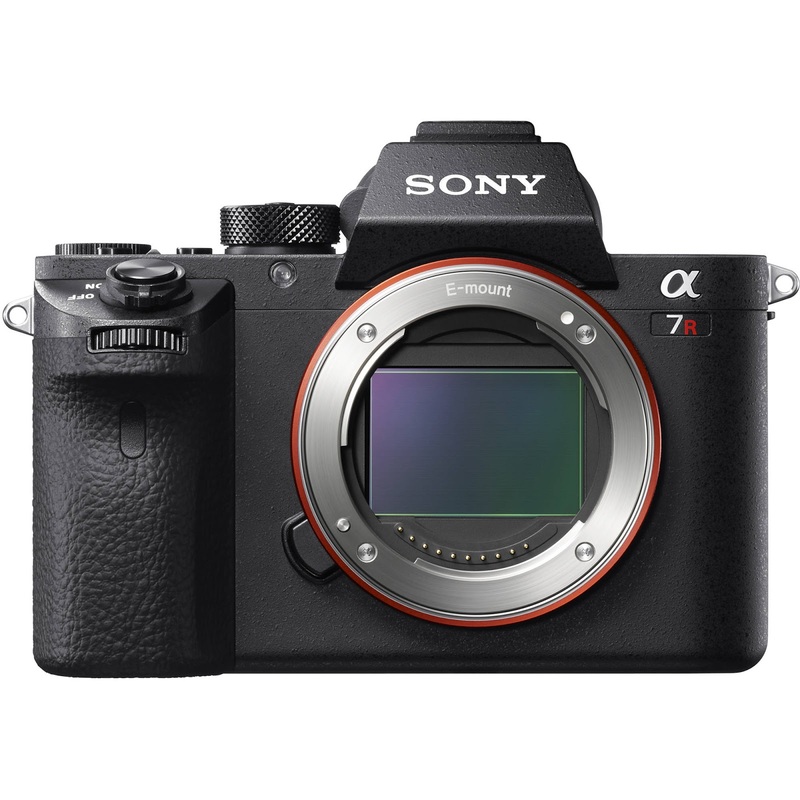 The α7R II can deliver 4K video with in camera processing and recording and Full HD (1080p) video in either NTSC or PAL at 60p/30p/24p or 50p/25p using the high bit-rate XAVC S format. It offers fully customisable colour and gamma controls, including the same S-Log2 and S-Log3 Gamma curves found in high-end Sony cinema cameras. ISO range is 100-25,600, with extendable ranges to ISO 50 to 102,400. Full details of the α7R II can be seen here. Sharing the same 42.2 MP sensor and BIONZ X image processor with Sony’s α7R II, the RX1R II has an integral ZEISS® Sonnar T* 35mm f/2 lens. The sensor has an impressive 399 phase detection AF points that works in conjunction with 25 contrast AF points to achieve fast and efficient focus. The camera has the world's first optical variable low pass filter that can be set to off, standard or high, with low pass filter bracketing also available. Viewing is via a four-glass element in-built EVF or a tiltable 7.5cm (3.0 type) 1.2 million dot LCD. The camera can deliver Full HD video with a choice of various framing rates. Full details of the RX1R II can be seen here. The Sony HDR-AS50 is a durable and highly portable POV video camera that weighs a mere 58g (2oz) and measures only 2.42 x 4.7 x 8.3 cm. (31/32 x 1 7/8x 3 3/8 inches). It is supplied with an underwater housing that can be used down to 60 metres and can be linked with a new Live-View Remote with full camera command functionality that can be mounted virtually anywhere, including as wristwear. The camera features SteadyShot™ image stabilisation, a must for action shooting, 4K Time-Lapse Capture, enhanced Full HD video capture, a built-in stereo microphone, and a ZEISS® Tessar lens. To add to the excitement the angle of view can be varied between “Wide” and “Narrow” in two levels, plus zoom mode allows the user to zoom while shooting. Full details of the HDR-AS50 can be seen here. In Asia Pacific, α68 is available in India. A Class 10 or higher SDHC/SDXC memory card is required to record movies in the XAVC S format. A class 10 or higher SDXC memory card is required to record movies in the XAVC S format. UHS Speed Class 3 is also required for recording at 100Mbps. Among digital cameras. As of October 2015 press release, based on Sony research. Main unit only. (83g (2.9oz) with supplied battery).